Several children try sledding for the first time! 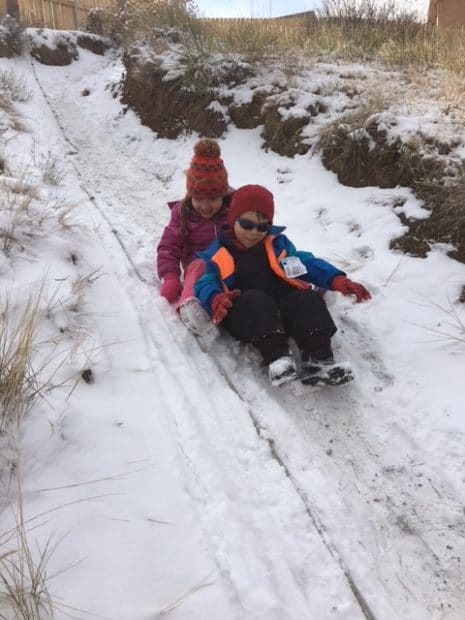 Many children sled which involves serious negotiating at the top of the hill about who gets which sled, decision-making about whether or not to ride in the front or the back, taking turns and the thrill of pushing off the hill to slide down. 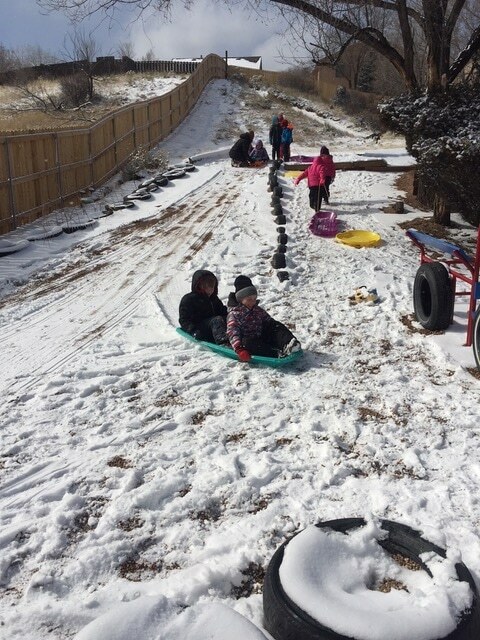 So much experimenting happens as children’s sleds veer to the side, turn over or slide faster or slower. Some children discover that they can spin in the “flying saucer” sled. And who needs sleds? Given cardboard pieces of various sizes, plastic sheets and metal trays children have great fun sliding on the Prairie paths using these recycled materials. 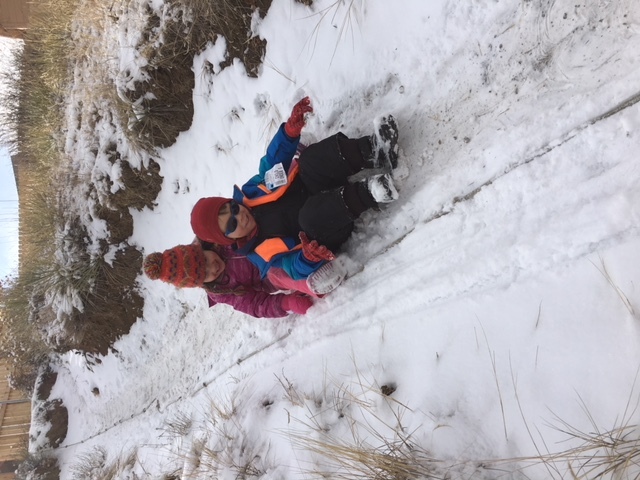 Children exercise their bodies carrying sleds up the hill to come down again and again. We read the book Snowy Day by Ezra Jack Keats. 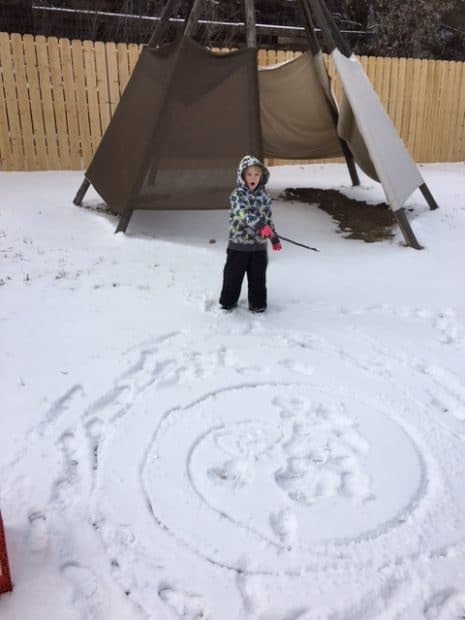 Inspired by this book, children make tracks, knock snow off the trees with a stick, make snow angels, and discover the fun of climbing up the Prairie path and tumbling/sliding down in the snow and ice. 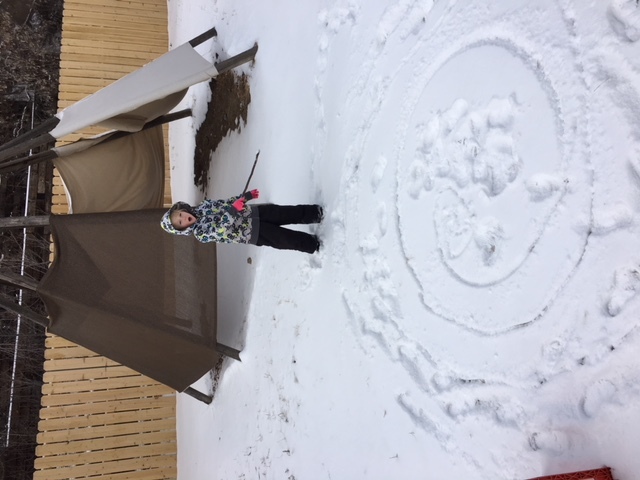 One child discovers that she can draw circles in the snow with a stick. Another child squeezes snow with her mitten to make ice. Several children squeeze snow in their hand to make snowballs. The outdoor easel makes a good target and they practice their throws. One child lifts large chunks of snow from piles that have been shoveled. He enjoys watching these chunks break up when they crash to the ground. Children come down the slides and wonder why the slides are faster on such a cold day. 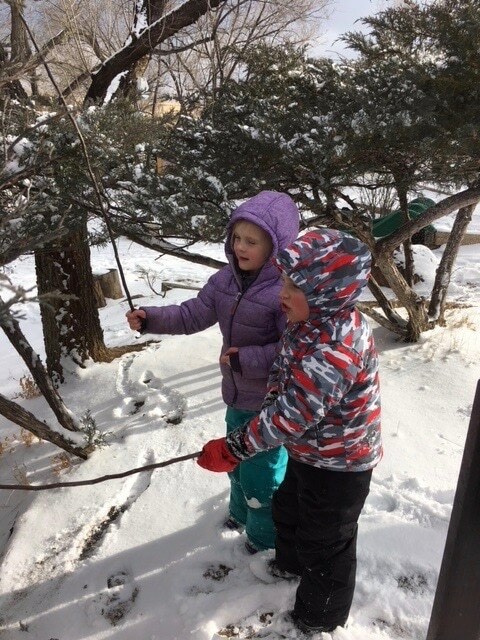 Reflecting on our busy day of experiencing the snow with all of our senses (several children couldn’t resist tasting the fresh snow!) the only thing the children didn’t notice was the cold temperature. Special thanks to our student teacher Colby Adams and teacher Britnni Caldwell for helping facilitate such fun outdoors.